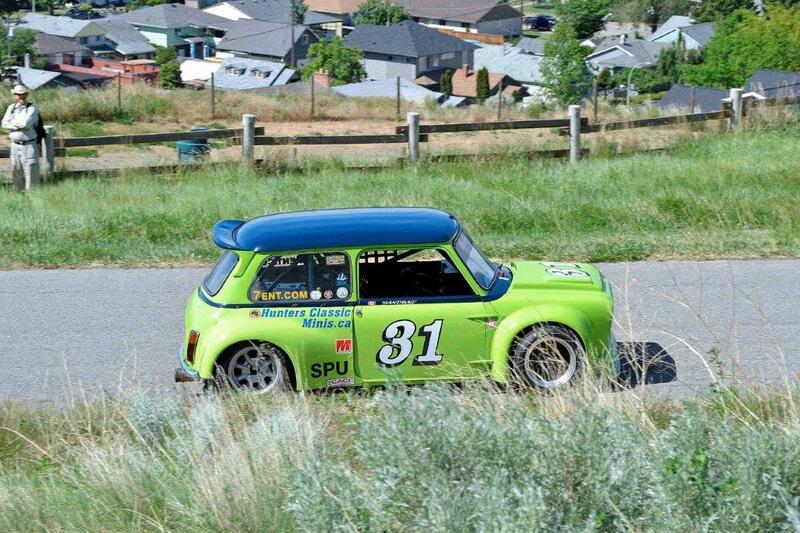 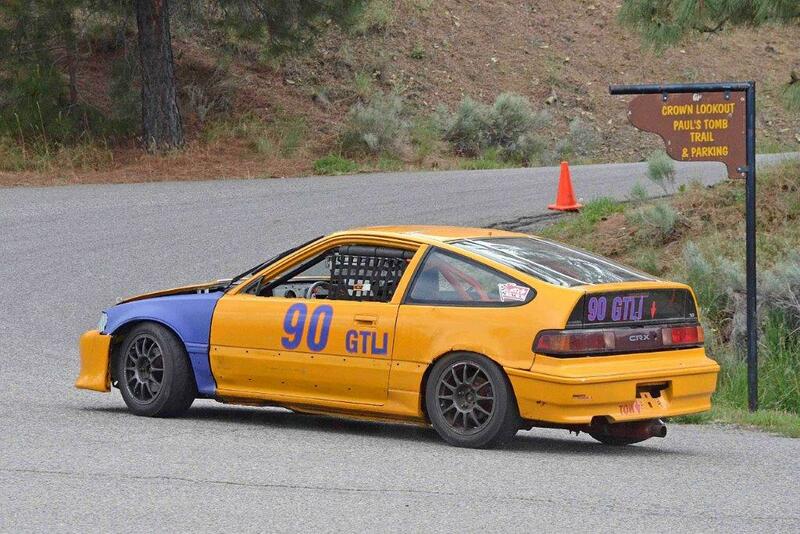 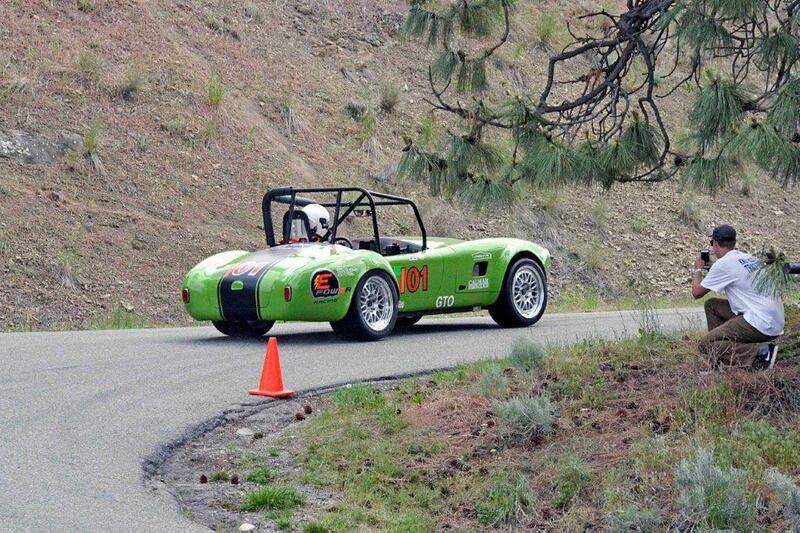 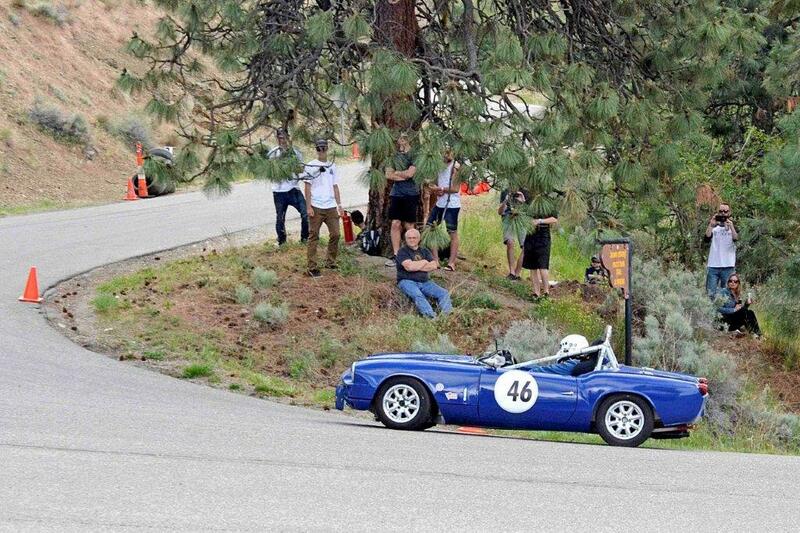 One of the VRCBC’s very own ‘travelling motorsports correspondents’, Jim Moody covered this year’s Leavitt Machinery Knox Mountain Hill Climb, and has sent us a report plus some excellent photos of the VRCBC members and friends who were competing. 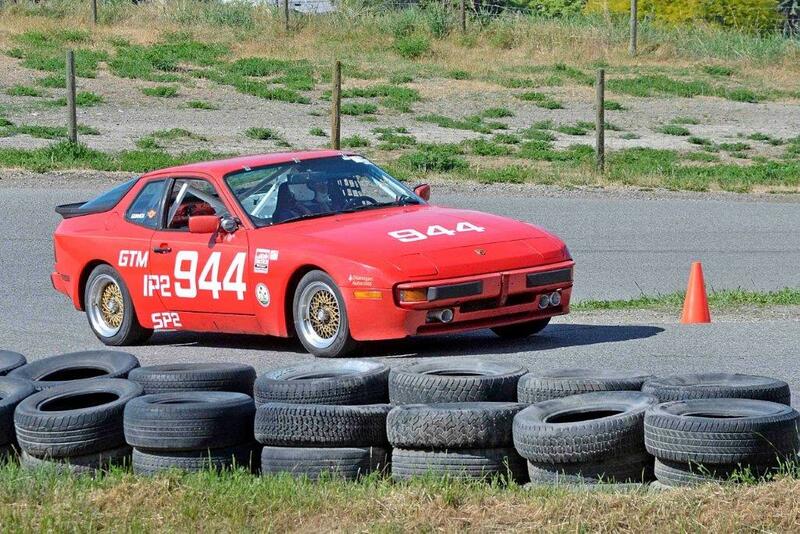 Thanks Jim!! 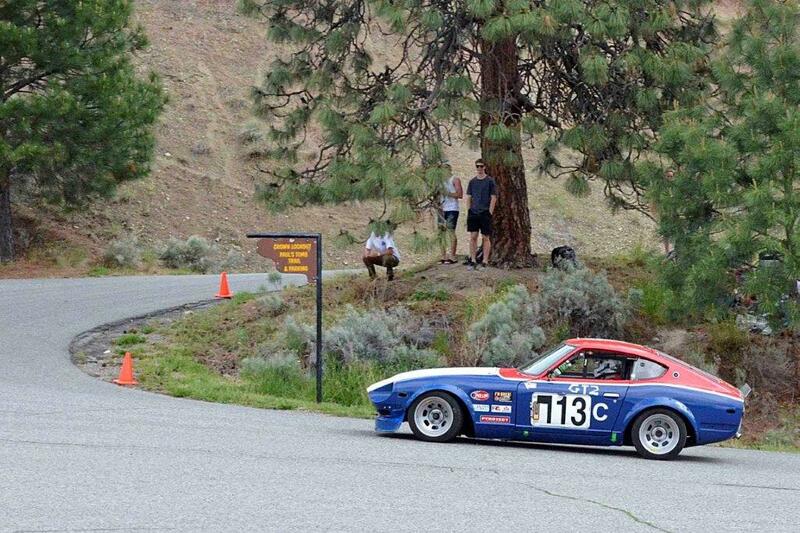 “ VRCBC members and associates made their presence known at this year’s running of the Knox Mountain Hill Climb. 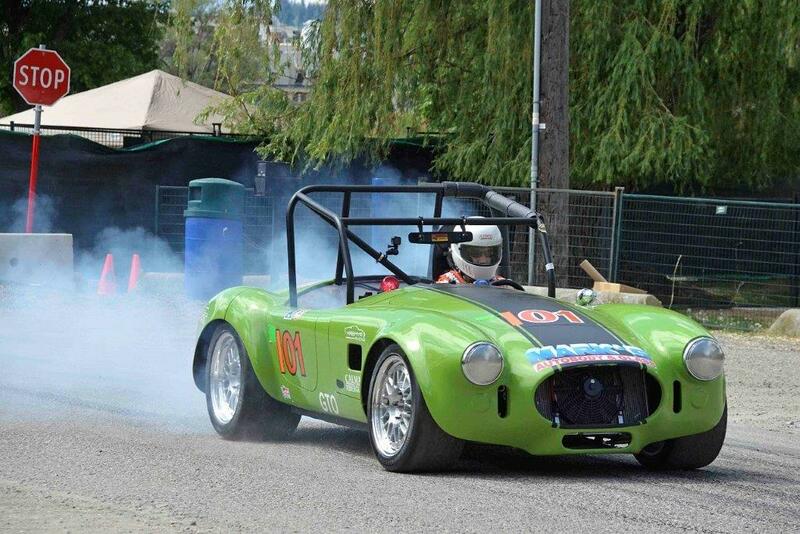 A mixture of sun and cloud kept temperatures pleasant for the two day competition. 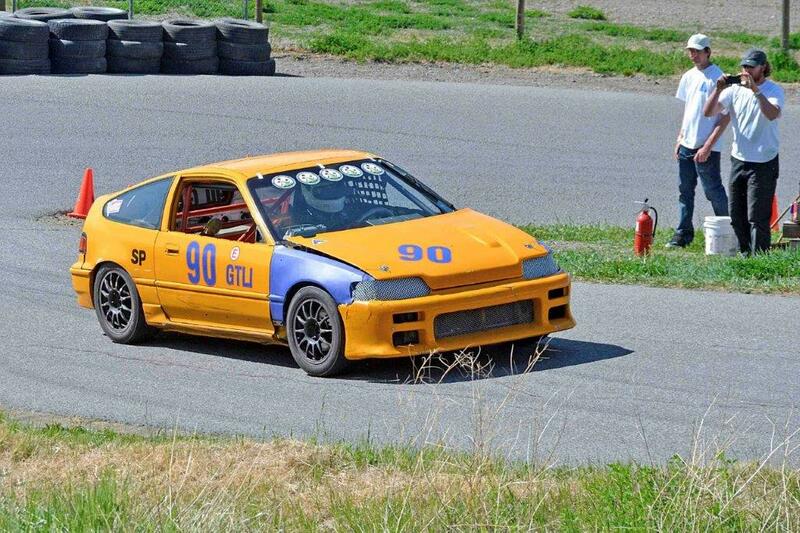 Gayle Baird very ably represented the ladies (as always) piloting her Honda Civic up the 2.2 mile road course and posting a best time of 2:21.603. 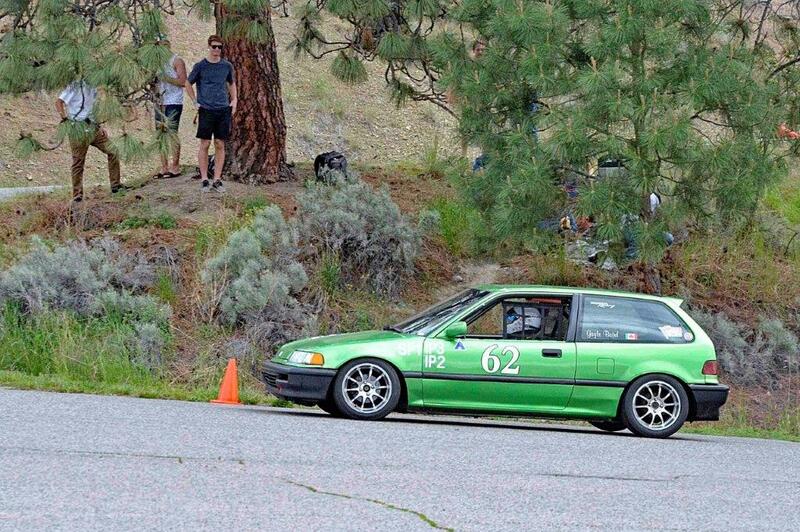 Legendary (ahem) race veteran Keith Robinson, no stranger to Knox, brought a Honda CRX to challenge the course and his best time for the weekend was 2:14.105. 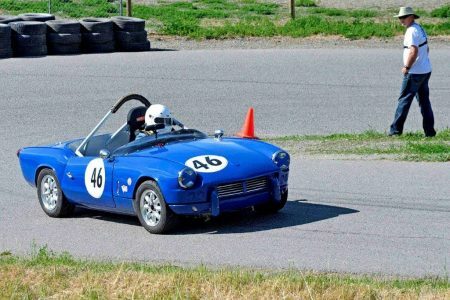 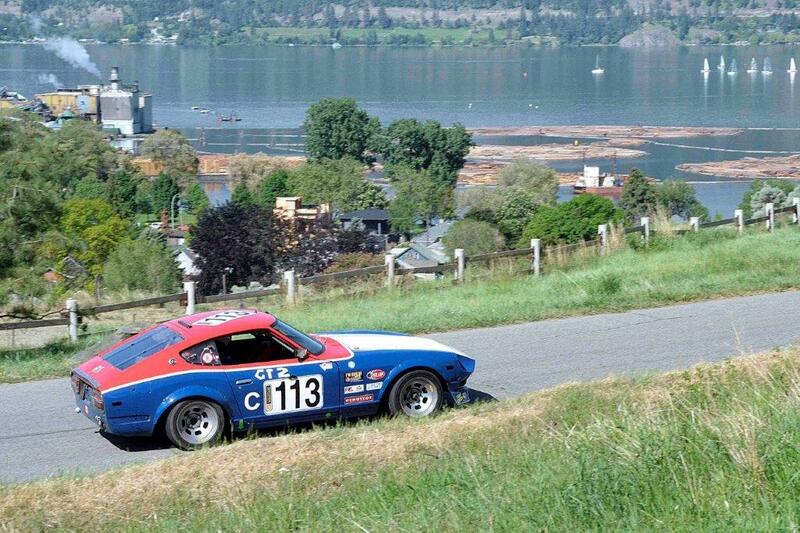 Vancouver Island’s Phil Pidcock, making his first appearance at Knox, drove his Triumph Spitfire to an excellent best time of 2:13.364. 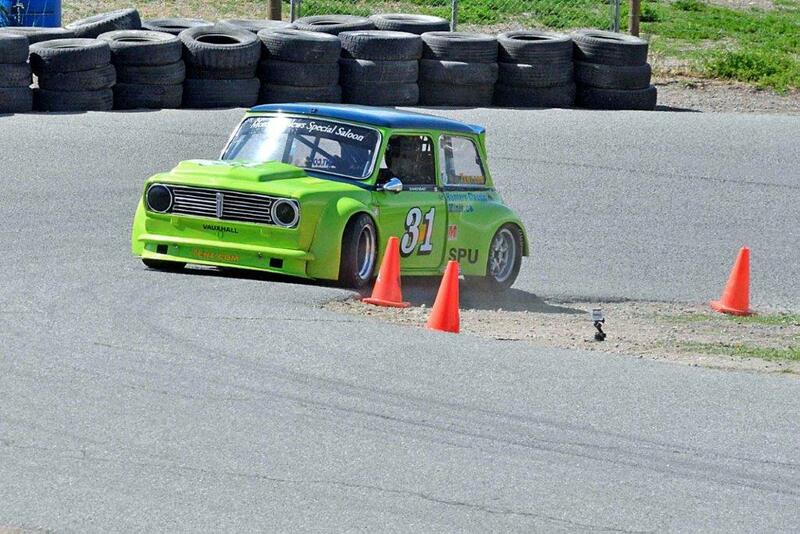 Larry (‘Pops’) Sandham once again had his familiar Mini Vauxhall up to speed clocking a best time of 2:04.188. 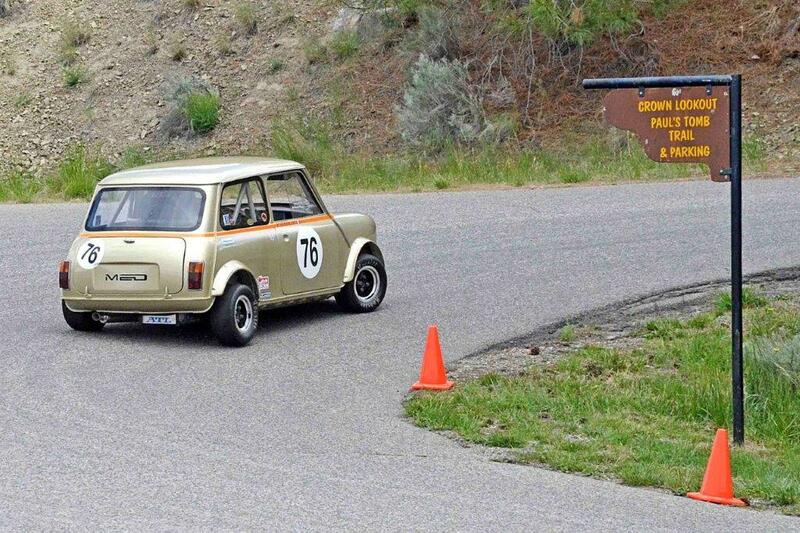 Trevor (‘Junior’) Sandham drove his gold coloured Mini Cooper to a time of 2:11.249 on his fourth run of the weekend, and that stood as his best. 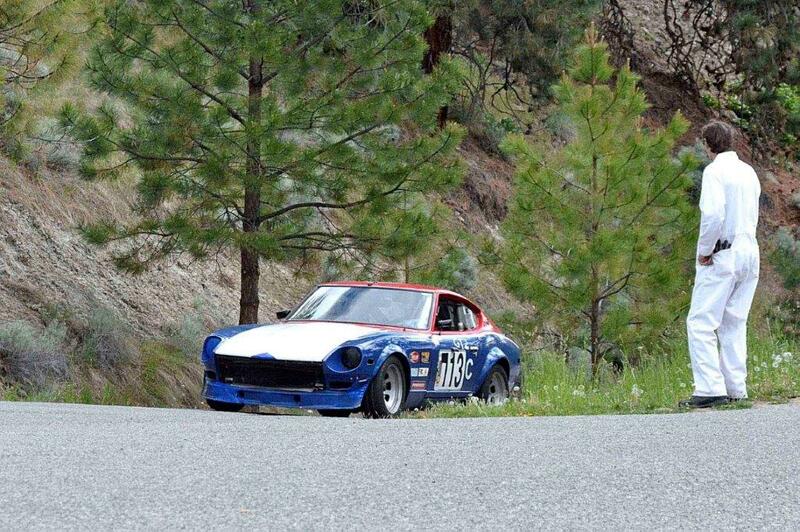 Mike Ball and Bruce Jamieson shared a Datsun 240Z, with Mike’s best time showing as 2:12.770, while Bruce’s best was 2:12.645. 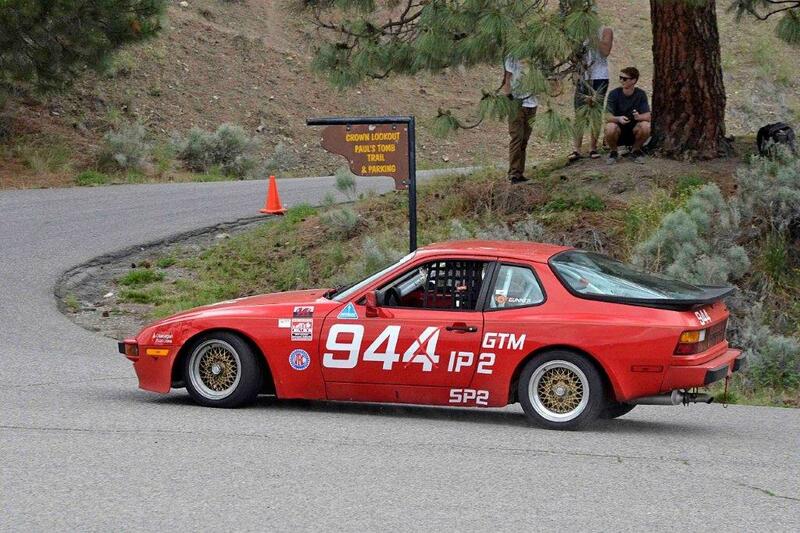 Nick and Stephen Gunner co-drove a Porsche 944 keeping the car busy on the hill with Nick’s fastest time being 2:17.289. 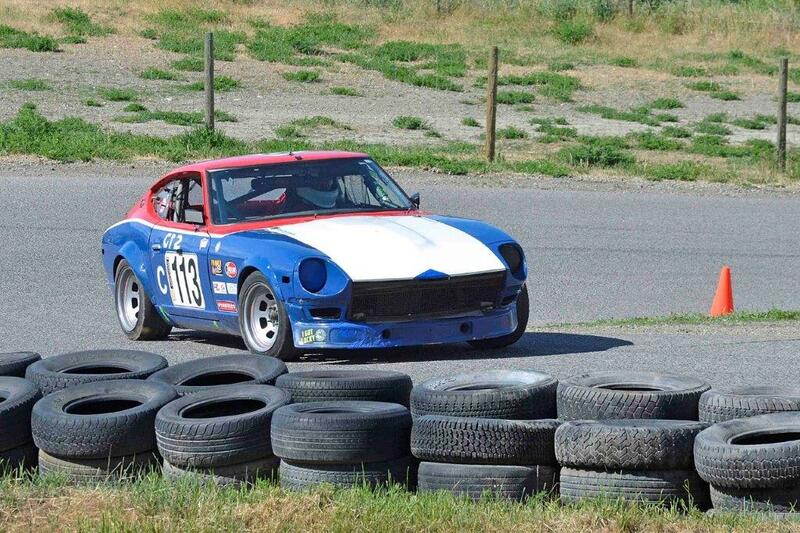 Stephen beat his brother’s time by only .113 seconds to finish at 2:17.176. 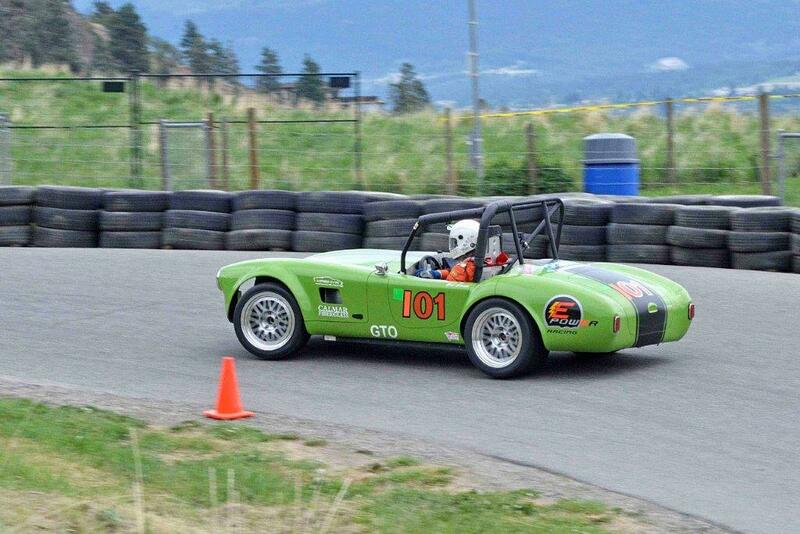 The most fascinating story of the weekend was Doug Yip’s son Trevor posting a very competitive time of 1:51.210 with Doug’s self-designed and built ‘Electric Cobra’; a Tesla-powered EV. 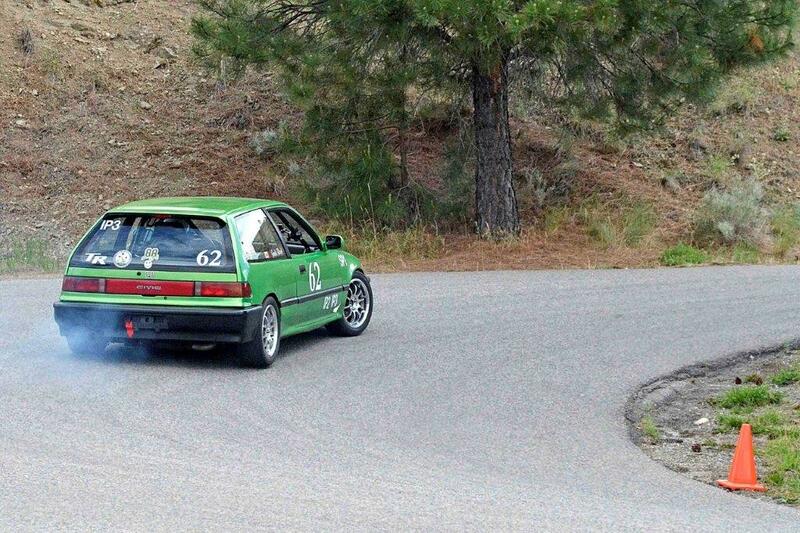 Trevor was second fastest overall up Knox, beaten (by only 1.17 seconds) by Andre Marziali’s highly modified BMW M3. 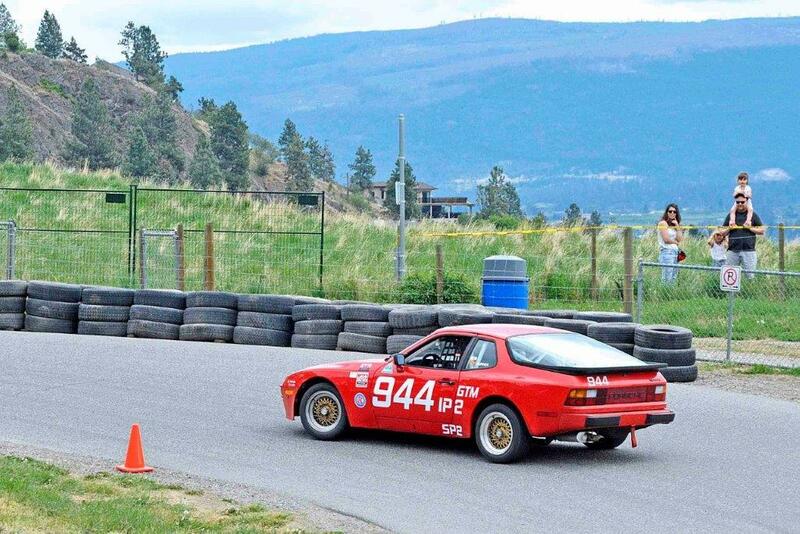 Andre’s FTD was 1:50.040 and he was crowned ‘King of the Hill’ for 2018. 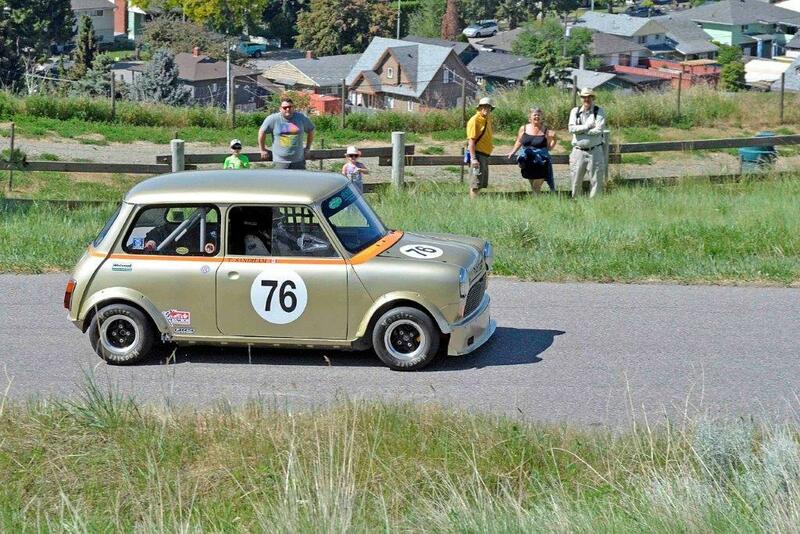 Check out Jim’s photos below.